Looking back at a company that has grown so much over the years, there are a few things I question; ‘How on earth did we manage like that?’ An example is our HR database. When it was just one HR person and less than 100 staff we managed by using Excel and then Google Sheets. That was in a time I call ‘BB’ - Before Bamboo. At the time, it all worked really well for the size of company and the type of data we needed. For us today, it absolutely wouldn’t work, but that’s OK, because we moved into the world of Bamboo. It’s nice to look at and simple to use. Why is this important? Well, we’re a technology company so we set our standards high for how a system looks and behaves. Bamboo is clean, simple and doesn’t look like so many other systems in its field (old, designed in the 90s or something you dread to log into). If employees don’t dread logging in and can navigate at the speed of light, it means less questions for our HR team. The information is right there in front of the employees’ eyes, where they expect it to be. As well as expecting a lot from the look and usability of a system, I also like a system to be tailored to our exact needs. That means; getting notifications in RG language, choosing the layout of information and reports that are instantly adaptable. I don’t expect every system to start out this way, but it’s always a good idea to set the starting parameters high and see where we get to! Let me give you one example; we run an Employee Share Scheme at RG, one of our most valued benefits. 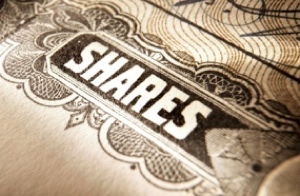 I wanted staff to be able to see how many shares they had, how much they might be worth and why they were given the shares in the first place. As with every other tweak or suggestion I’ve made to Bamboo, they sorted it for us and it’s been a really useful feature for our staff. I’m sure anyone in HR will be familiar with objections from suppliers that “our system can’t do that” so getting such flexibility from Bamboo is hugely important to us. The service is always impressive. 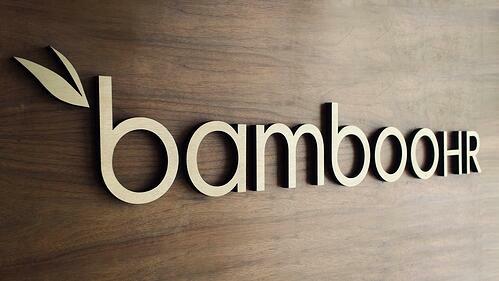 I always make a point to shout out and say thank you when service is great, especially with HR systems like Bamboo. It’s become the norm in my experience, that providers of online platforms can sometimes take their sweet time to respond to a question or issue, and even longer to actually fix it. When you submit a request to Bamboo (a task that takes two clicks), they get back to you pretty much the same day. Whether it’s a request for a new feature because I need to run a report or add something to our system immediately, or if it’s a silly question, they will provide help in a no-fuss and friendly way. We started off using Google Documents for a few shared spreadsheets and it was a revolution to move away from having different versions of files being sent back and forth. It was more collaborative and allowed us so much more functionality, particularly when working globally. Document templates are consistent, easily editable and our HR team can create documents from them whilst seeing exactly what their global counterparts are doing. Not the most exciting of areas in the complex world of HR, but massively importantly as it saves time. The less time I spend checking a template, or signing off documents, the more time I have for everything else. Reporting and planning HR projects becomes a dream versus the alternative of static documents. Our Global People Director Tracy Mellor is based in Sydney whilst I’m in London. It just wouldn’t work if we weren’t able to video chat on Google Hangouts whilst editing a giant matrix of information and writing a paper together on our recommendations. 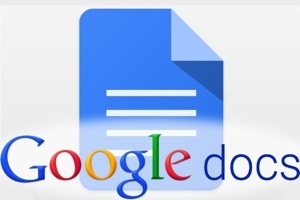 Google Drive has changed the way we do business in every office and the fact that it’s all synced to one Google account makes it that much easier to get people to buy in and not experience that ‘Oh no, not ANOTHER new system to use’ feeling. Related: How to attract, engage and retain employees with employee benefits portal? I think the best HR systems are those that leave employees wondering ‘whatever did we do before we had this?’. RG is in its 10th year of business (#RGdecade) and I’ve been here for just over 7 of those years. It’s often the case where I’m genuinely asked what it was like before we opened a new office, or before we used a particular system. OKTA is a great example of that and whilst it was admittedly a tricky process to integrate; in our case it was really worth it. Employees can login to a whole host of systems with one click, saving heaps of time and helping our overall productivity. It might seem odd talking about this as a top system from an HR point of view (IT are the ones celebrating the most with fewer password resets and other system questions!) but for me, it has simplified the process for starters and leavers moving in and out of the business. It’s a different kind of worry getting someone started with their induction process versus ensuring the integrity of your systems when someone leaves. However, both sides of that process are made easier and slicker with OKTA. Overall there’s less for managers to worry about throughout the employee lifecycle, as OKTA seamlessly integrates all the key systems to enable and disable, depending on what’s going on. As with all these benefits, the less time spent worrying about little details, the more time managers and our HR team have to focus on the bigger things that deliver the most value. 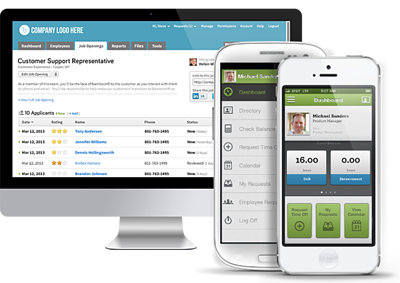 Is there another HR technology system that you simply couldn’t do without? Share your favourite HR systems and the reasons they rock in the comments below. Sarah is our former Head of Diversity and People Experience. She's obsessed with making RG a happier place to work, holds the proud title of our No. 1 Beyoncé fan and is an expert on holiday planning and spreadsheets.